Home Entertainment 20 Fascinating Facts About SNSD’s Yoona and Lee Seung-gi’s Relationship! Despite had broken up in 2015, many people still consider SNSD’s Yoona and Lee Seung-gi as an ideal couple because they look perfect together and have many similarities. Both of them are notorious for their good nature and manner, often donate to those who in needs, and have the down-to-earth characteristic which is widely admired by senior and junior celebrities alike. Here in Channel-Korea, we will reveal all the facts regarding the relationship between SNSD’s Yoona and Lee Seung-gi. So, keep reading! SNSD’s Yoona and Lee Seung-gi met way back in 2007. At the time, SNSD was newly debuted, and Lee Seung-gi was still a rookie singer. 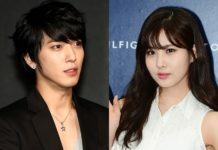 They met several times on the variety show Happiness In ￦10,000, and on music shows as they promoted at the same time. 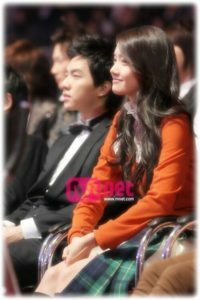 In 2010, both Yoona and Lee Seung-gi won Popular TV Star awards at the 46th Baeksang Arts Awards. They came to the stage and held the flower bucket and trophy. Lee Seung-gi let Yoona gave her award speech first, making him a real gentleman, especially since, technically, he is a senior who was supposed to give the award speech before she did. Didn’t Lee Seung-gi’s courtesy make your heart flutter? Long before Instagram became the must-have social network platform for celebrities, SNSD’s Yoona and Lee Seung-gi were both known to stay away from the popular medium. Yoona used UFO to communicate with her fans, and some of her answers suggested that she didn’t use Instagram like the other SNSD members because she was afraid to make mistakes. 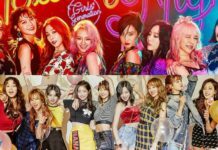 She felt it was better to use official websites and the SNSD members’ social media account. In addition, Yoona said that UFO is like her world, so fans can text her more. On the other hand, when Lee Seung-gi was asked why he didn’t use Twitter, he said, “There are times where I feel stuck and want to confess my honest feelings. But I do not use SNS (social network service) because I might make mistakes when I am drunk or when I am too tired to make proper decisions.” The similarities between Yoona and Lee Seung-gi were praised by netizens, as they seemed to be wise about using SNS. These days they may each have their respective social media accounts, but it doesn’t change the fact that they are very careful when it comes to posting in SNS, don’t you agree, dear readers? It’s no secret that Yoona and Lee Seung-gi’s most frequent appearances were during SBS’s Strong Heart. 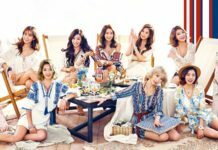 Lee Seung-gi, who was the show’s MC, often saw Yoona when she was invited on the show, be it with the whole SNSD, or with just some of the group’s members. Find The Sweet and Sad Moments of Red Velvet’s Joy on ‘We Got Married’!